Thanksgiving weekend in Arkansas has a special event associated with it: The Duck Festival, in Stuttgart, where the World Championship Duck Gumbo Cookoff takes place the Saturday after Thanksgiving. So At Home took a jaunt to the Arkansas Delta this month, getting the scoop first hand on where a gal might want to shop and antique if she was visiting the region for the festivities. We visited with our friend Cathy Campbell, co-owner of the gift and home furnishings shop Handworks and the new antique venue City Limitless, and she had great tips for where to go and what to do in the region. You can see the full story here. In honor of the Duck Festival, and our fun Delta journey, we’re giving away two books highlighting the region. Wild Abundance, a cookbook anthology of the region, which includes a section with Little Rock’s own Lee Richardson, executive chef of Ashley’s in the Capital Hotel. We took a sneak peek at his own kitchen too, here. If you’d like to win this wonderful pair of books, leave a comment and you’ll be entered in the drawing (to take place on November 16th). Receive monthly inspiration in your inbox! At Home in Arkansas offers you a look inside the state's most inspiring homes. The magazine features monthly advice from the experts to help you plan your next remodel or redesign, entertain at home, or find Arkansas's best kept secrets. It is your definitive guide to the state's finest homes and gardens, design professionals, fashion and entertaining essentials, and premier shops and showrooms. Published since 1996, At Home in Arkansas is the state's leading home and lifestyle magazine. Contact us. Our weekly e-newsletter is your weekly link to what's new and best in home design ideas, resources and events. 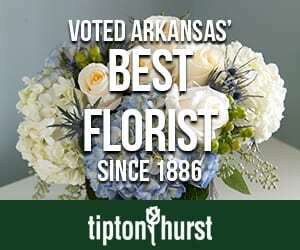 For advertising information, please contact Kelly Fraiser or call (501) 666-5510. For one year of inspiration, call 1-800-927-6847, click below, or give a subscription as a gift. Subscribe here. We love hearing from you. Send ideas and comments to Stephanie Maxwell Newton. Information deemed reliable but not guaranteed. All measurements are approximate. Copyright 2016 Root Publishing, Inc. All Rights Reserved.